The Pride Zues 440 is an interior lift that is adjustable to fit most vehicles. It can be used with most medium, large and travel mobility scooters, wheelchairs as well as power chairs. Uses a compact swivel boom, corded hand control and has an integrated mounting base to allow for easy compact installation. With a 440lb lifting capacity the 440 offers a larger lifting capacity than the Zeus 260. Beautifully engineered to complement your vehicle. The Pride Zues 260 is an interior lift that is adjustable to fit most vehicles. It can be used with most medium, large and travel mobility scooters, wheelchairs as well as power chairs. Vehicles today are getting smaller and many scooter and wheelchairs are getting bigger. These two competing trends challenged the engineers at Bruno to design a lift that was agile enough to work in the smaller spaces yet powerful enough to lift the heavier units. The needs and demands of today’s scooter and power chair users have brought with them heavier devices. To safely lift these heavy and complex units, MobilityWorks offers a Heavy Duty version of the industry leading Bruno Curb-Sider®. It could be a simple trip to the mall, a ride to the movies or just a visit to a friend’s home. The little things in life can make a big difference. It’s why MobilityWorks has been helping people connect with who and what matters most since 1997. Whether it’s at one of our 70+ locations or on our online store, MobilityWorks helps you find the right mobility solution for your unique needs. We offer a full line of adaptive equipment and an extensive selection of wheelchairs, scooters and more with the convenience of ordering online. Our ProtectionWorks emergency roadside assistance includes wheelchair passenger transportation, lift and ramp emergency repair, wheelchair and scooter assistance, towing, battery service, flat tire assistance, lost key or lock out assistance, out of fuel assistance, $150 tire hazard benefit, $250 auto deductible reimbursement. 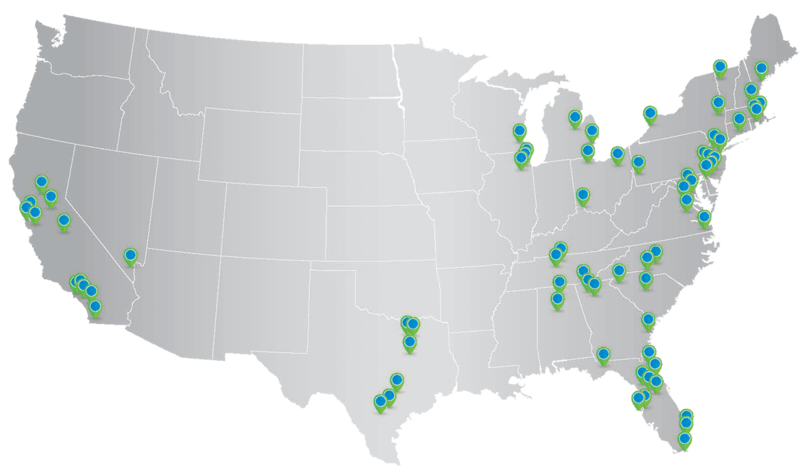 Over 70 store locations with highly trained technicians to assist with product support, installation and repair. If you don’t find a location near you, call us at 877-375-9658 or Contact Us and one of our Client Care Representatives will contact you. Our goal is to provide consumers with more options to find the right solution.